made a rare public appearance to have a lunch meeting at the Hotel Bel-Air. The 36-year-old has largely restricted her public outings to a quick dash for ice cream, to support her husband and a festive family party since her robbery and Kanye West's mental health crisis. 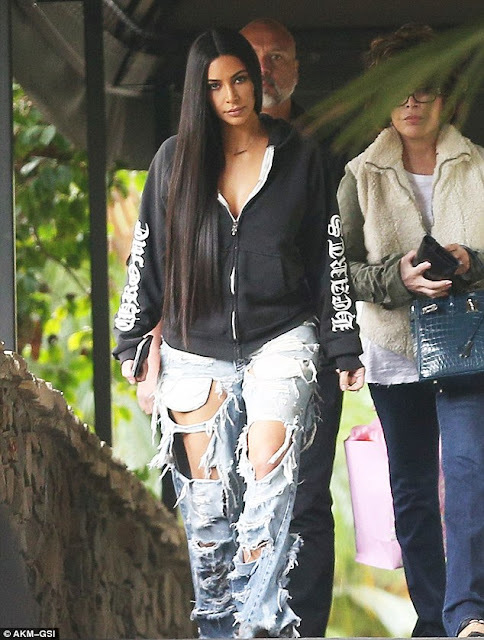 But it was a different story on Wednesday as she spent some time at the famous Beverly Hills establishment. The reclusive reality star spent some time having lunch that appeared like a business meeting but a friendly one as she left with a pink gift bag.